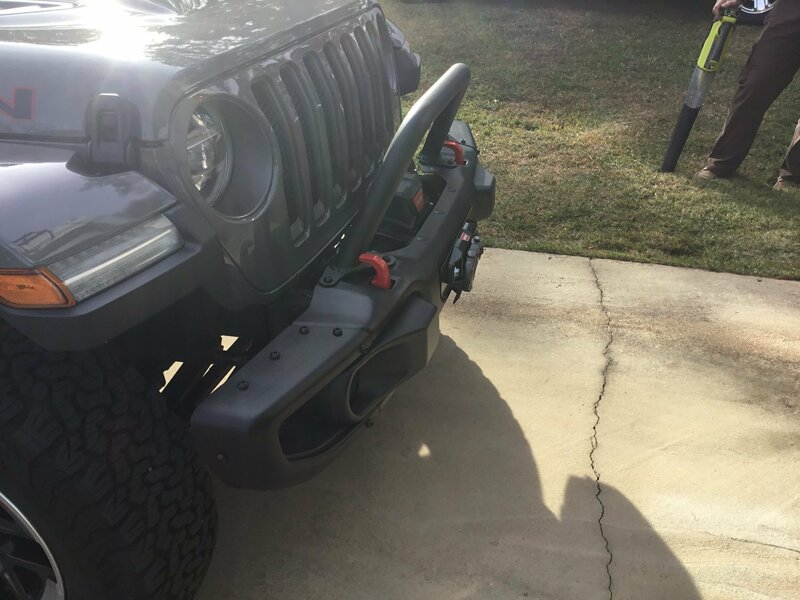 When taking your Wrangler JL out on the trail make sure you have the some extra protection for your grille. 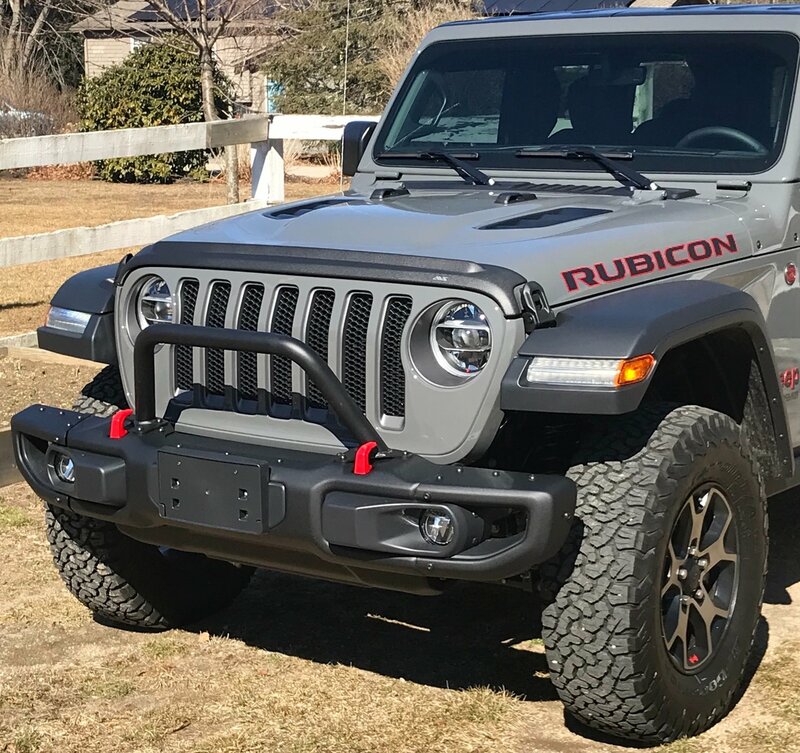 If you have the factory steel Rubicon front bumper then this Mid Grille Guard Tube is a great addition that will not require and type of modifications to your bumper. Now you can take on the outdoors without having to worry about trail damage to your grille. 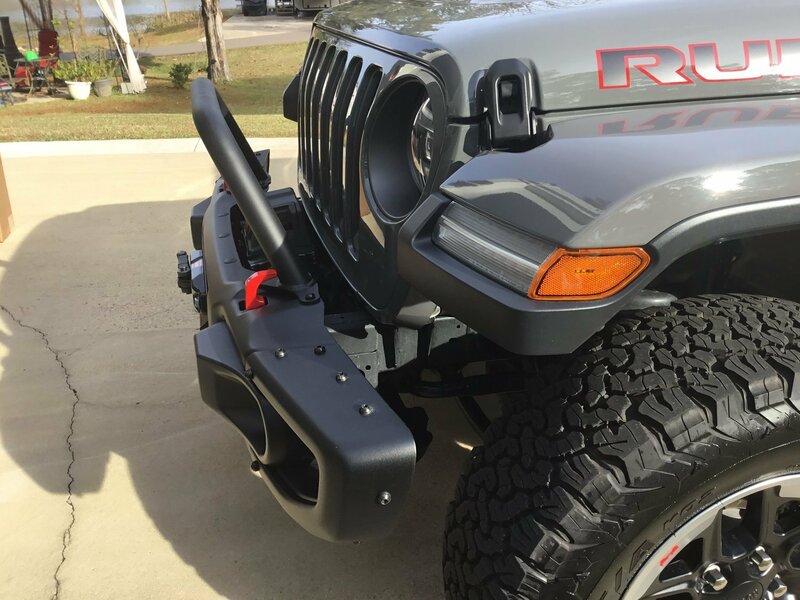 Added Protection: This grille guard gives your Wrangler JL better front end protection while adding a rugged off-road look to your Jeep. No longer will you have to worry about off-road debris damaging your Jeep's grille allowing you to take on whatever trail you come across. Construction: Made from strong and durable 2" tubing this mid grille guard is then gone over with a black powder coat to prevent corrosion keeping it looking new for years to come. Compatibility: This grille guard will only fit the factory steel Rubicon front bumper for a Wrangler JL. It uses existing bolt holes so you will not have to make any modifications to your bumper. Quick and easy mod. Installed in 5 minutes. Tough looking. I like the fact that it doesn’t stick past the bumper for easy parking. Definitely is what the bumper was missing. For the cost this is a very strong bar that has a 6 bolt attachment. It took about 10 minutes to install and looks great. I am very pleased with the bar and I’m glad I did not spend double the amount for some other make.